Today, a number of gift galleries have come up with attractive greeting cards for various ceremonious occasion. It is not surprising to see greeting cards for Hindu festivals flocking the markets, because sending and receiving cards has become customary amongst the people. Greeting cards for religious occasions such as Ram Navami are also available in India, in most of the gift galleries. Rama Navami cards act as a wonderful means to communicate the enthusiasm for the festival and immense faith in Lord Rama. Greeting cards are exchanged between friends, relatives and even family members, in order to spread good cheer. Go through the following lines to know all about Rama Navami cards. With the increasing competitiveness, the gift shops are providing a lot of variety in the greeting cards for religious festivals like Ram Navami. 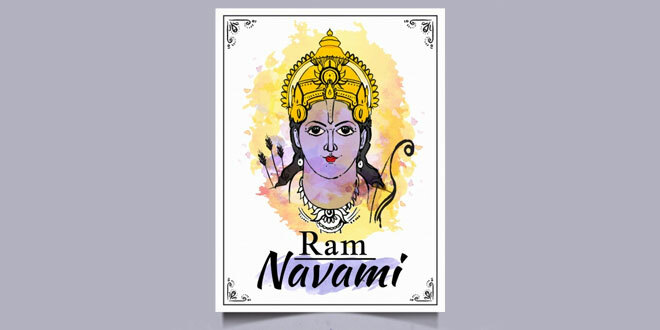 Varied forms of Rama Navami greeting cards have flocked the shelves of the gift galleries, because in the recent years, the demand for the product has increased considerably. A remarkable boost in the variety of the product has given way to increased sales of the same. Today, apart from the traditional mid-sized ones, you can get oversized cards as well as small sized ones, which can easily fit into your palm. Since the festival has religious significance, greeting cards are available in both Hindi and English languages. In the present time, the greeting cards for Hindu festivals like Rama Navami have become very expressive. The quotations included in the cards carry the real essence of the festival. Quotes from Ramayana are often used for the cards. The love, devotion and respect for Lord Rama are clearly expressed by the quotes. While most of the quotations used for the greeting cards are serious, you can also find funny quotes in them. If you want to show your enthusiasm for the festival of Ram Navami and your devotion to the deity, then send handcrafted cards to your friends and relatives. Handcrafted cards are always in vogue, because they depict what is in mind of the sender and convey exactly what he / she wants to say to the receiver. Many people send handmade greeting cards to their loved ones, on Rama Navami. Apart from being a personalized way to convey messages, homemade cards are easy on the pocket. In the technologically-driven society, people are opting for easier and quicker ways to send their wishes on festivals and other ceremonious occasions. The trend of sending e-cards for every other festival has been followed since a long time. In the present time, since Internet provides easy access to all kinds of information, people find it easy to connect to their loved ones. Sending wishes and e-cards during festivals has become a hot trend. A number of websites are offering attractive e-cards for almost every occasion and Ram Navami is no exception. You can now get a wide variety of attractive Rama Navami E-cards – both animated and non-animated – and send them free of cost, to your loved ones.